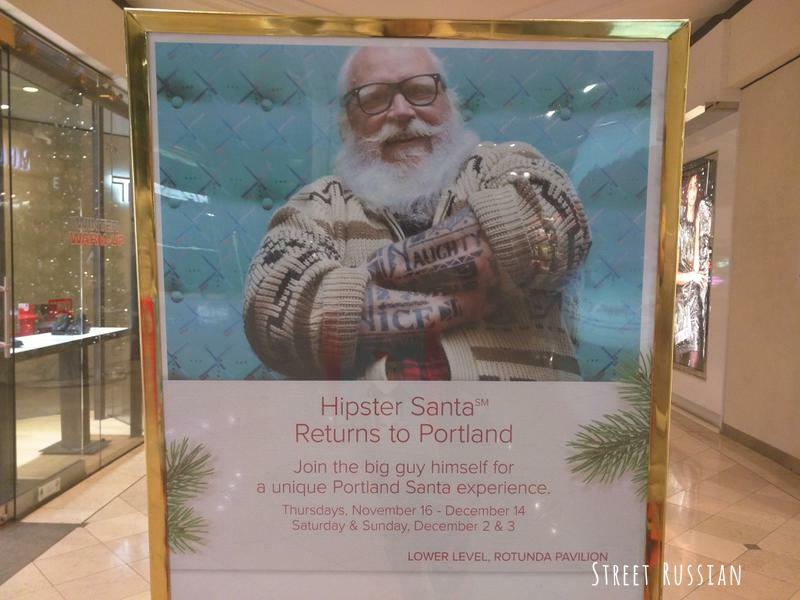 If you haven’t already heard, Portland is full of the Russian language. There are citizenship classes taught in Russian, a Russian social services program, and at least a dozen Slavic churches. There are little Eastern European stores with names like “Good Neighbor Store” and “Russian Elegant Food”, Cyrillic-lettered business cards taped up to bulletin boards at the door and free copies of деловой журнал outside. There’s a local radio channel—the only all-Russian pop station broadcasting in the US. 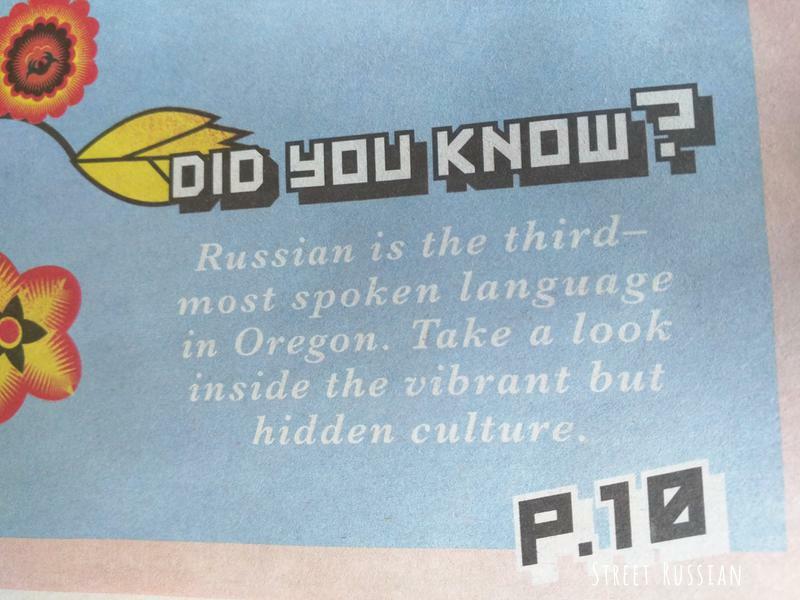 This is the second time in the past six months that a local newspaper has written about Oregon’s Russian-speaking communities. 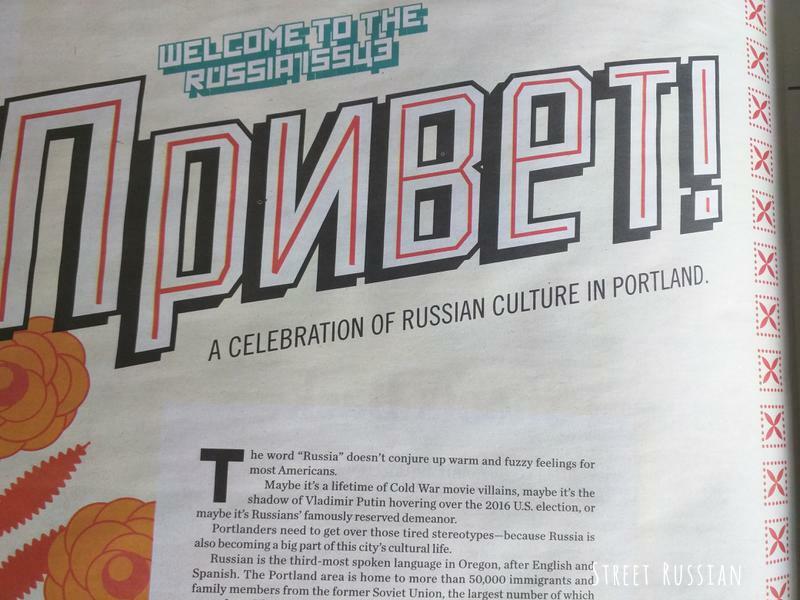 In summer, the Oregonian published Dobro pozhalovat’ to the vast Russian community hidden in Portland. 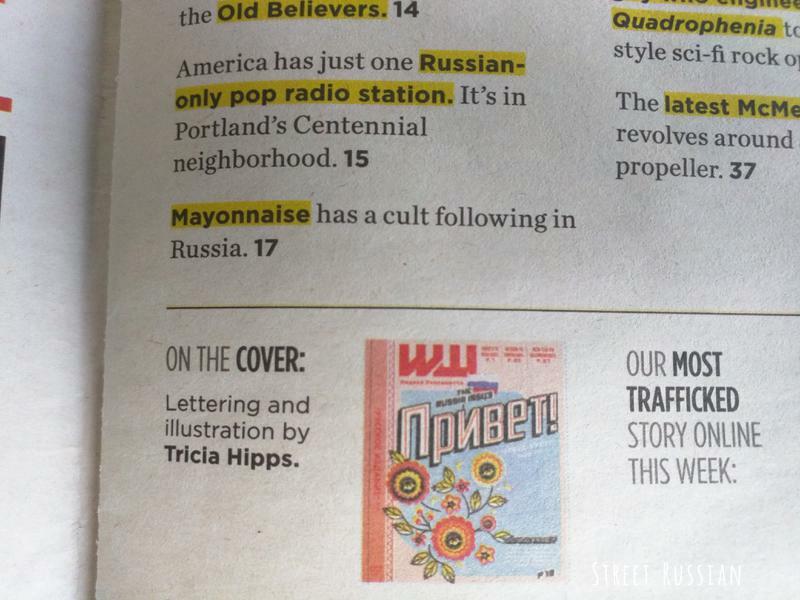 Now, Willamette Week has followed up with their own Russia Issue. You can read all eight articles + introduction on their website. I’ll show you bits and pieces of the articles below. Some of the articles discuss Old Believers, a ballet academy in the suburbs, and—you guessed it—Trump/Russia ties. 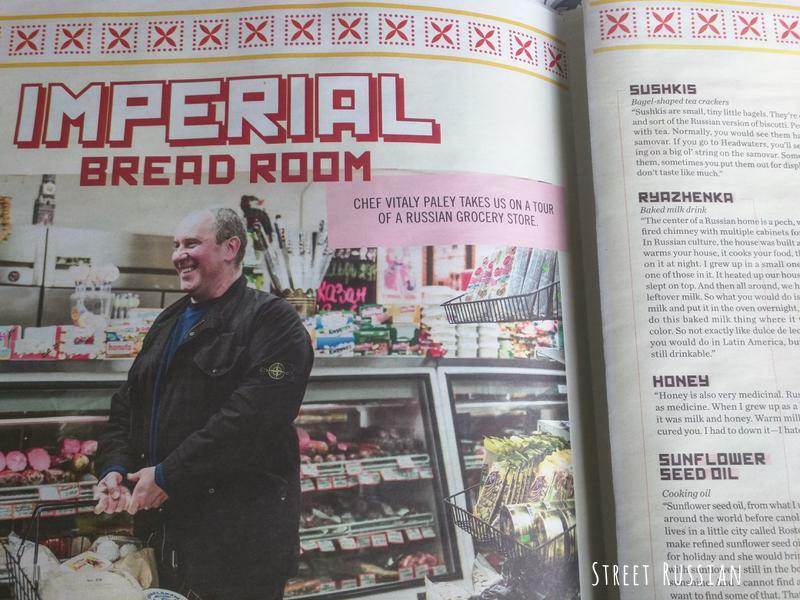 There’s yet another article on downtown’s Kachka, the expensive stolovaya experience that has attracted crowds for the past three years. Fortunately, the article talks more about Kachka’s new cookbook (“the first major Russian cookbook published in America in 27 years”) than the actual already-reviewed-a-million-times restaurant. My favorite article was about русское радио KXRU-FM 105.5, a radio station I didn’t know existed. It’s actually pretty cool! The music isn’t what I’d normally pick, but it’s fun to hear local and national news in Russian. A newsflash today pointed out that it’s Saakashvili’s birthday, which you’re guaranteed never to hear in the English language news… if only because no one can actually pronounce “Saakashvili”. You can stream русское радио for yourself here. 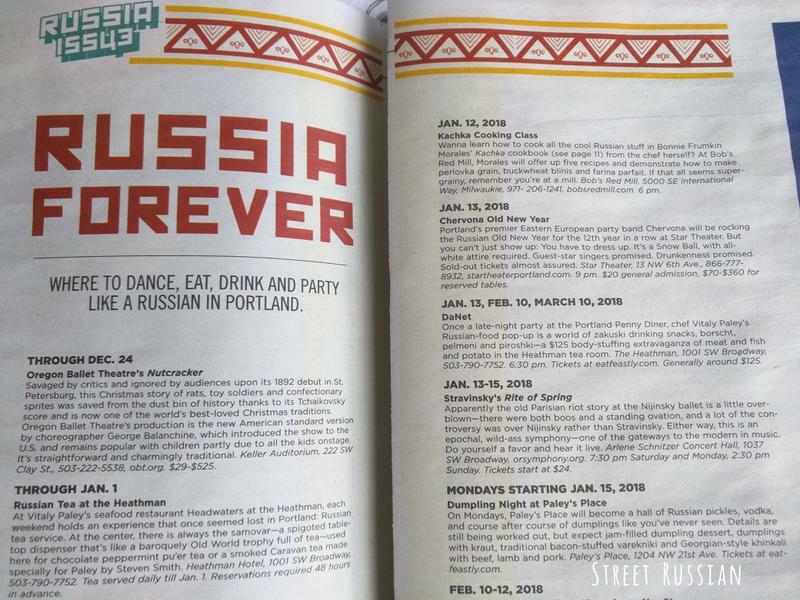 The final article was a list of Russian-y events in the area, like cooking classes, parties, plays, and the annual summertime Portland Slavic Festival. 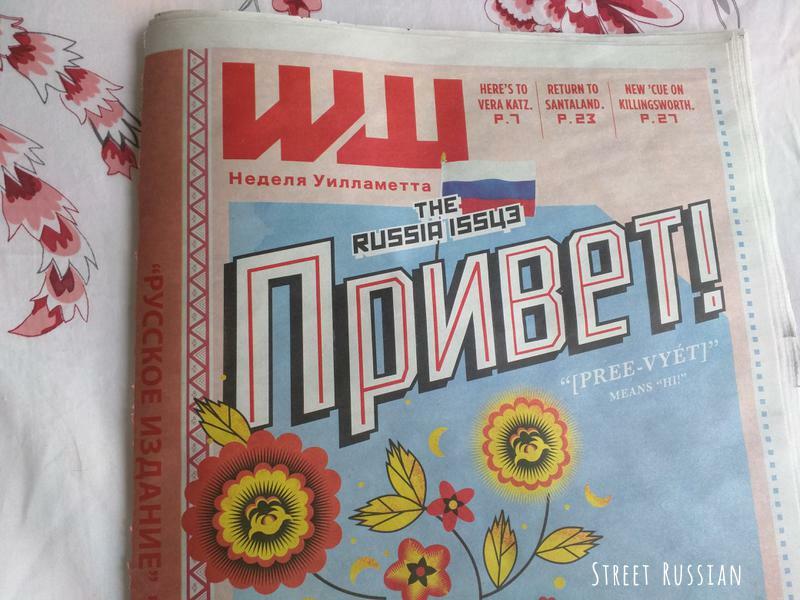 If you read any articles from the Willamette Week’s “Russia Issue”, I’m curious to hear what you think of them! Leave me a comment. 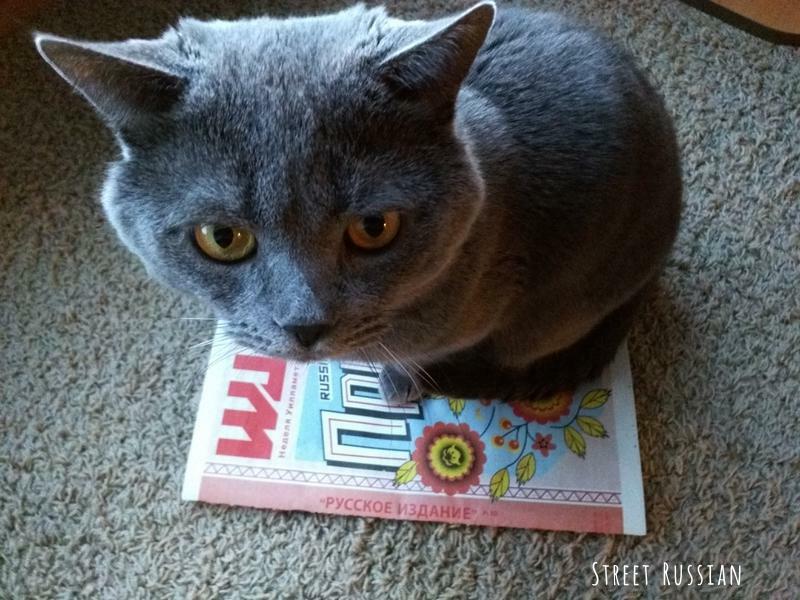 PS: For more about this topic, take a look at Russian Language in Portland and Speaking Russian in Portland. Валентина, спасибо, обязательно хочу приехать. 🙂 🙂 🙂 Как хорошо что, у вас даже есть украшения на русском на Кипре. Я понимаю что, Кипр очень популарное место у русскоязычных туристов, но как случилось так что много русских там живут? Это случилось давно? Кстати, поздравляю вас с Новым годом! ПС: Да, страница интересная. Я “лайкнула”!